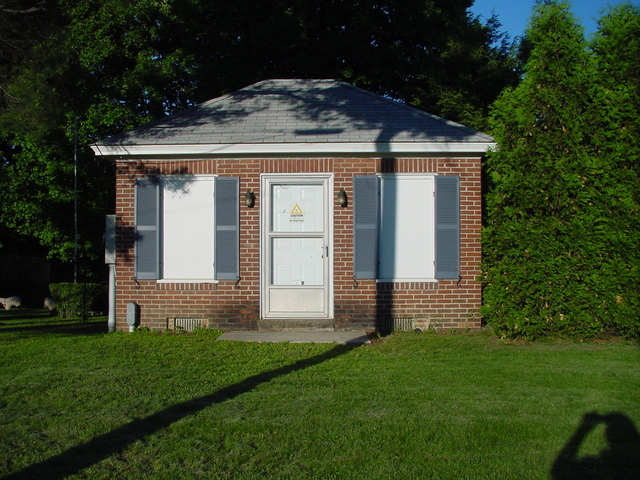 This building, on Woodard Road in Greenfield, is the original WHAI/WHAI-FM (1240/98.3) transmitter building. The FM is no longer here; the AM is now WHMQ parallel WHMP (1400 Northampton) and WHNP (1600 East Longmeadow). In later years, a studio building was built between the transmitter building and the tower.